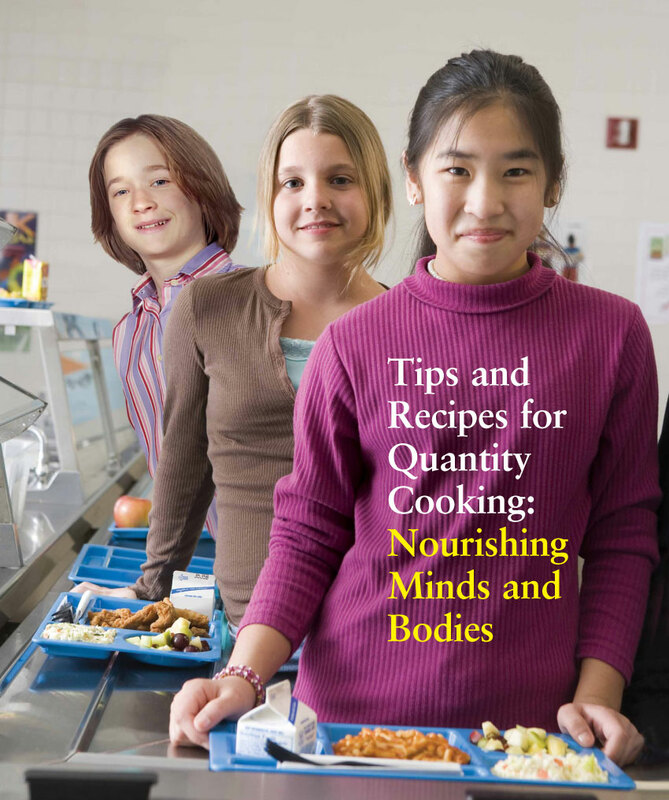 Tips and Recipes for Quantity Cooking: Nourishing Minds and Bodies has been created to assist people who prepare food for sale to students – such as food services staff, chef instructors, caterers, school teams, students, Parent Advisory Councils and others. It includes tips on how to choose healthy recipes, substitutions to make favourite recipes healthier and a selection of recipes that meet the Guidelines for Food and Beverage Sales in BC Schools. For more information, success stories and resources visit the Healthy Eating at School website.